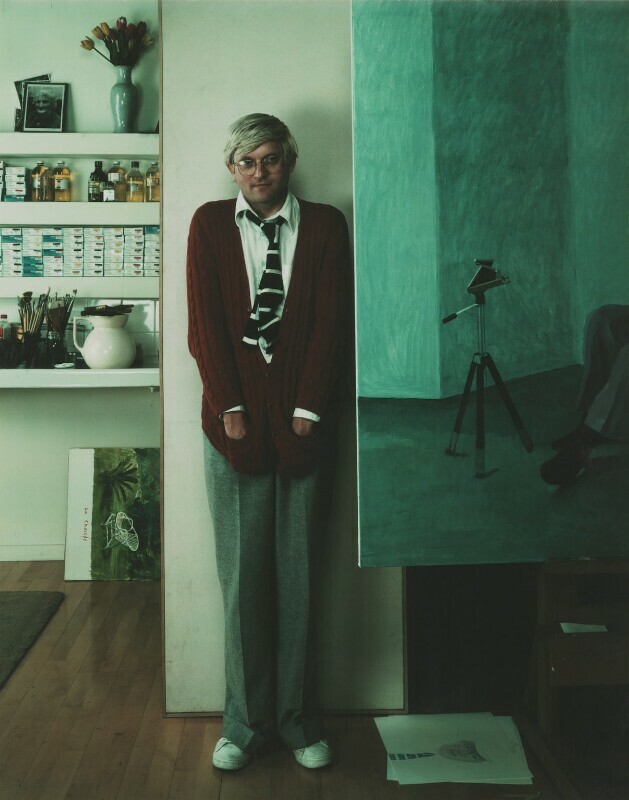 David Hockney (1937-), Artist. Sitter in 47 portraits, Artist associated with 13 portraits. Arnold Newman (1918-2006), Photographer. Artist of 62 portraits, Sitter in 1 portrait. Taken in Hockney's fifth floor studio, Bayswater, London.